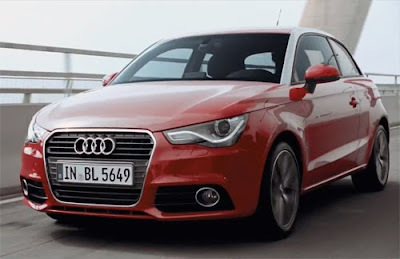 Audi has just released the first official TV commercial for the all-new A1. Dubbed "The Next Big Thing," don't let the video's title fool you, Justin Timberlake is thankfully no where to be found. Inconspicuously incorporating the letter "A" into daily city life, the commercial builds to the A1 itself becoming a new part of the busy urban landscape. In Audi's words; "The city is full of lights, signs, traces. Codes we know. Discover now a new code. The Audi A1. The next big Audi."